1/12 doll room accessories carpet. Bags include: 1XDollhouse mini carpet. You can follow below process to chontact us. Size: 10 cm 15 cm. 100% of all new. Import Duties. 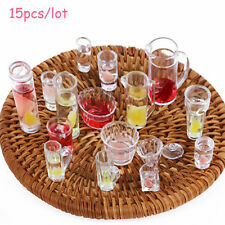 Quantity: 17pcs. Color: Transparent. Material: Plastic. Size: maximum: approx. 2 2 1.7cm; minimum: approx. 1.8 0.8 0.8cm. 6 x multicolored Goblets. Quantity: 6Pcs. Applicable for: 1:12 dollhouse. Material: Resin. Weight: Approx.0.6g. The colors may be a little difference for the different monitor display. USA, Canada, United Kingdom, Austrilia, France, Germany, Spain, Ireland, Italy, Others. 1 x dress for Barbie Doll., doll and shoes are not included. NOte: just 1 dress. We will work together with you to solve any problems. Fit for dollhouse decoration. Material: Alloy. Note: For decorative use only, not a toy! Chocking Hazard - Small Parts! Not for children under 3 years! Magic Feeding Bottles Dolls Accessories For Reborn Baby Doll Toys. Such magic bottles: When you feed the dolls,the milk will disappear. 2018 newest design 22" doll. Bottle circumference:10.5cm. 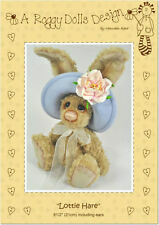 Features: Dollhouse Accessories, for Doll Girls, Lace Design, Mini Size. 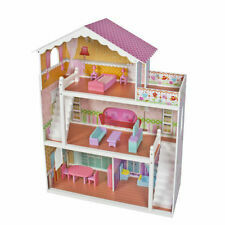 A good toy for your kids, its also a great dollhouse furniture for your lovely doll. 1 x Umbrella(Random Color & Doll Not Included). These dolls CHINA DOLLS, so the price is very cheaper. Cheapest NO BOX 4 pcs/set Dolls 2017 New Style Moveable Joint Body FashionToys High Quality Girls Plastic Classic Toys Best Gift. 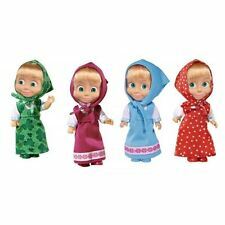 NO BOX, 4 dolls with Opp bag. 10 Pcs Doll Dress (Dolls not included). Style: Random. Color: Random. Fashion style and easy to wear. Hope you can understand. Nice and lovely gift for your little girl. 100% SATISFY 100% TOP SERVICE. Applicable for: 1:6 dollhouse. Keep it dry and cool, avoid sunning. Material: Resin. 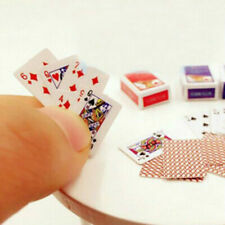 1 7Pcs Mini Pot For 1:12 Doll House. Quantity: 7pcs. Miniature Pot For 1:12 Doll House. Perfect for micro landscape DIY landscaping. Suit for decoration of garden,it can makes your garden beautiful and positive. Green Countryside Floral Dress For Barbie Doll Clothes Evening Dresses Clothes For Barbie Dolls Outfits 1/6 Doll Accessories. Dress only, dolls are NOT included. 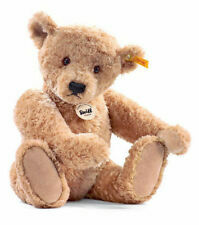 Description： Designed with elastic material and velcro, easy to wear and wash. Lovely gift! All items and materials are triple checked for sewing quality,exquisite workmanship, feel comfortable. 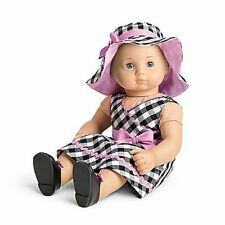 Perfect fit for Barbie & other 30cm/11.5" dolls XMAS GIFT & Christmas Gift. Package includes: 5 casual clothes 5 shoes for Barbie (The DRESS will be picked randomly depending on stock item.） NOTICE: that all items are made for and all by ZITA ELEMENT Doll Closet, they are made to fit the popular Barbie Doll products. We are not affiliated with Mattel, we are not implying in any way that these items are associated with Mattel. We simply just offer great products to complement the Barbie products. 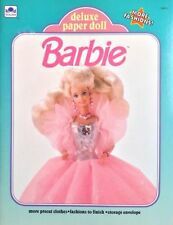 Barbie is the trade-mark of Mattel. Mix 10pcs=5 Pairs Different Shoes Boots For Barbie Doll Gift New. Fashionable designed shoes to get the fashion style for your Barbie doll. shoes and boots for your lovely Barbie dolls. 10 pairs / 20 pcs. Applicable for: 1:12 or 1:6 dollhouse. Phone（L x W x H）: Approx. Condition: New. A doll house must not be without various flowers and plants. It's a little like a duster. Baby weight (g) : 12. You can follow below process to chontact us. Multiple colors can be chosen. Import Duties.